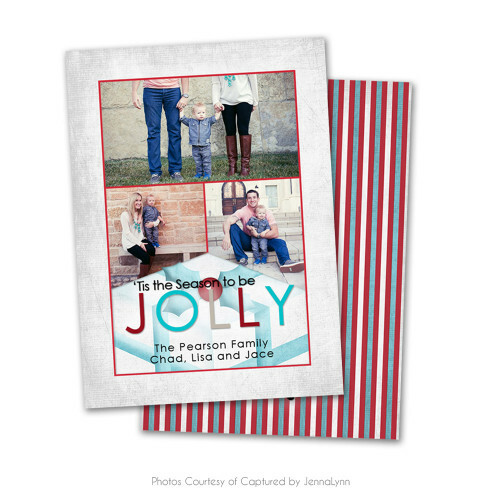 Your friends/family/clients will love this stylish, double-sided 5x7 Christmas Card. The red, white and aqua stripes will compliment and showcase all your holiday photos. Save time and work with our easy-to-use, fun designs.